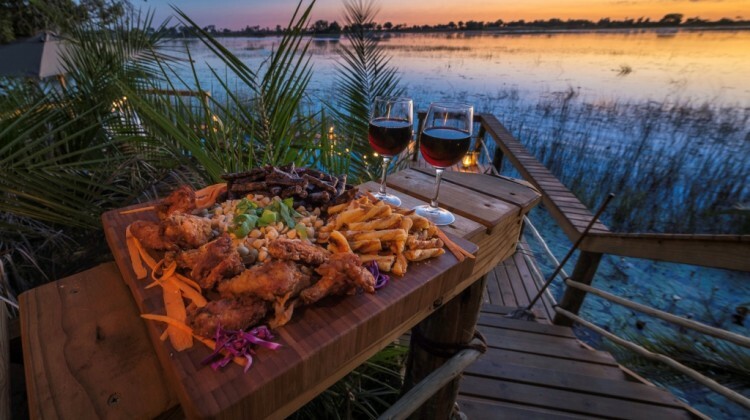 Africa is the perfect place to eat outdoors and savour the smells and tastes of great safari cooking; from fresh pastries or a cooked full English breakfast, to mouth-watering lunches and sumptuous safari suppers under the stars. 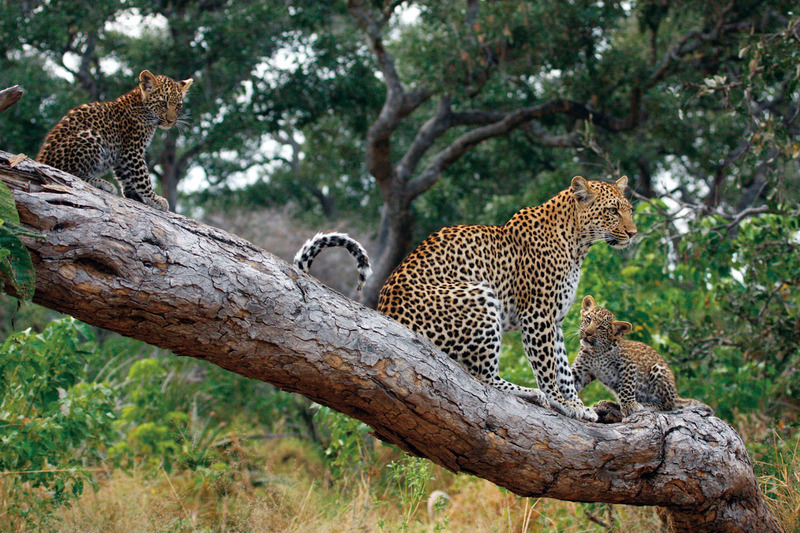 You’ll often have an early start on safari, heading out before the nocturnal hunters have made it home. 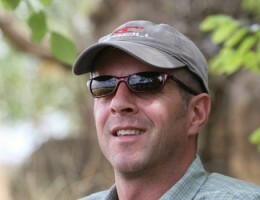 Rather than wait to eat in camp it’ll be a case of grabbing a coffee and a rusk and taking a packed breakfast with you. Before your rumbling stomach is putting off the wildlife, your guide will find a scenic spot and you’ll have the chance to feast on fruit, cereals, pancakes, and perhaps bacon and egg. There is also hot tea and coffee, as well as fruit juice. 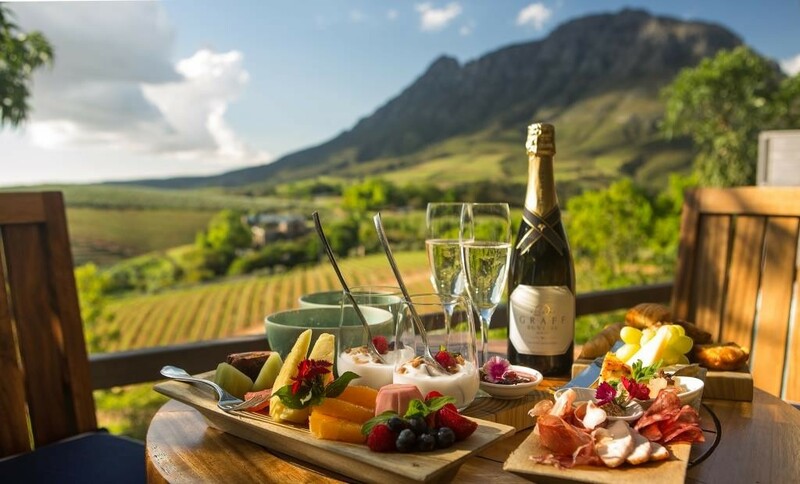 A stay in South Africa’s Winelands puts you in the heart of vineyards which are as famous for their food as their wine. You can take walks on the estates to take full advantage of the sweeping views, enjoy wine tastings, or take a picnic on a cycle ride. 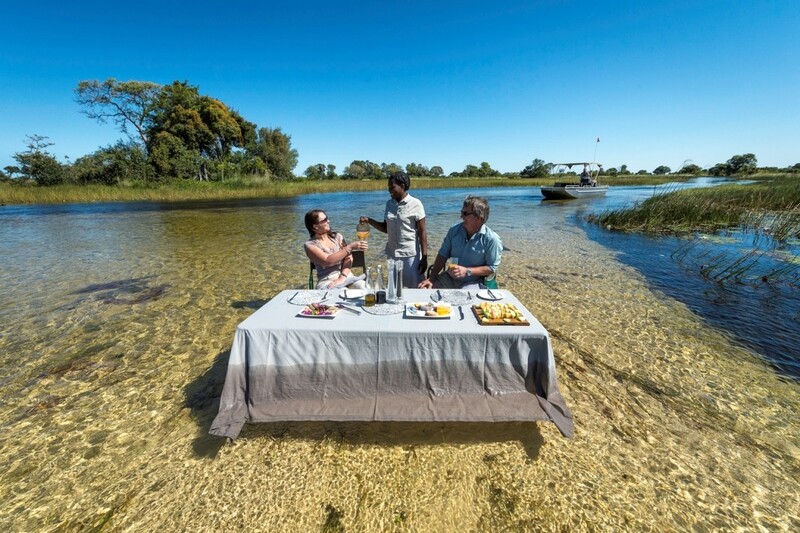 In Botswana with its shallow, safe delta waters, what could be more refreshing than dipping your toes in the water while enjoying breakfast or lunch? 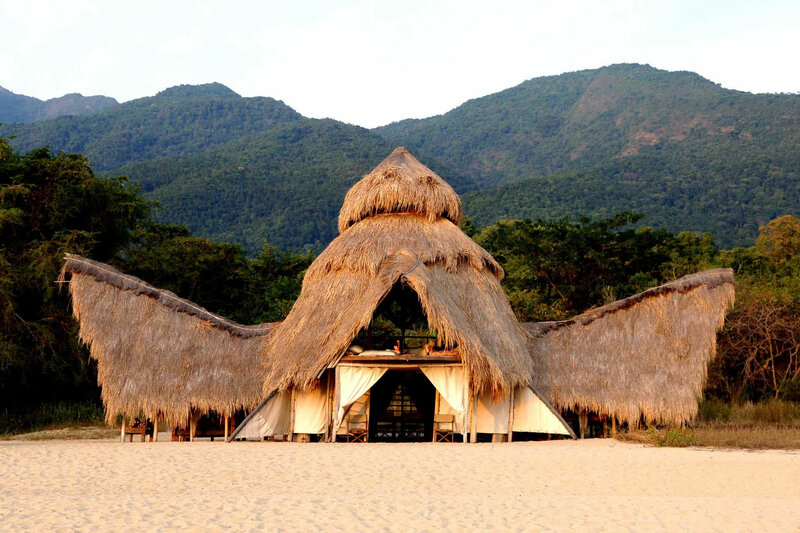 Most safari camps are right in the middle of big game country and many guests get the opportunity to see wildlife from their place at the lunch table. 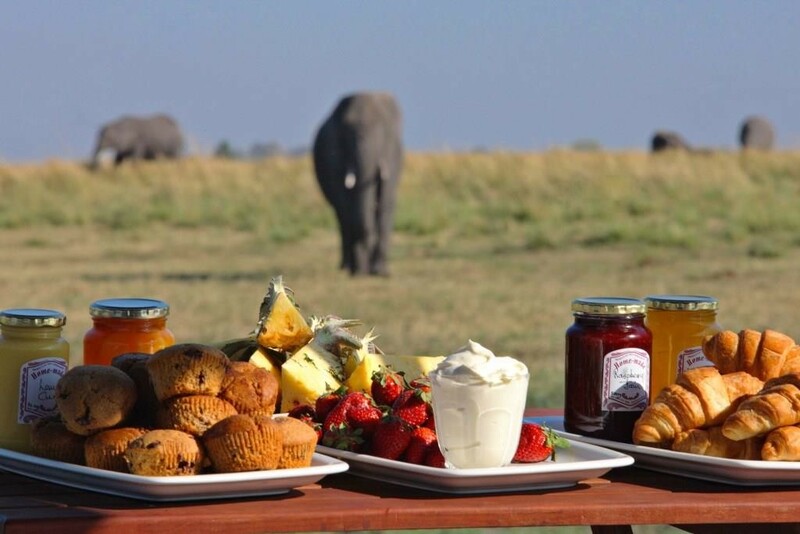 Watching an elephant amble by or wild dogs crossing the open grassland may well be possible with a plate of food and a glass of wine in front of you! 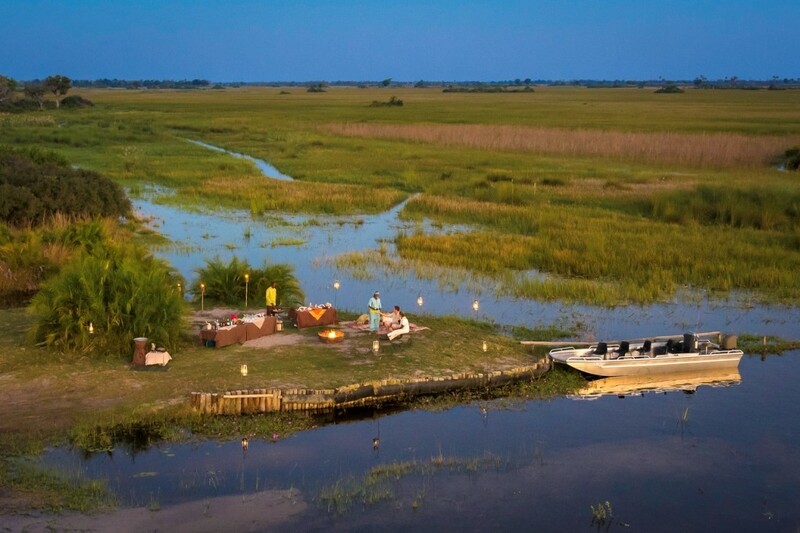 Hop on a boat and travel further up the sparkling waters of the Delta to take in the sights and sounds of this wetland paradise. A private picnic can be arranged so you can watch the swaying reeds and leaping lechwe in peace and tranquility. 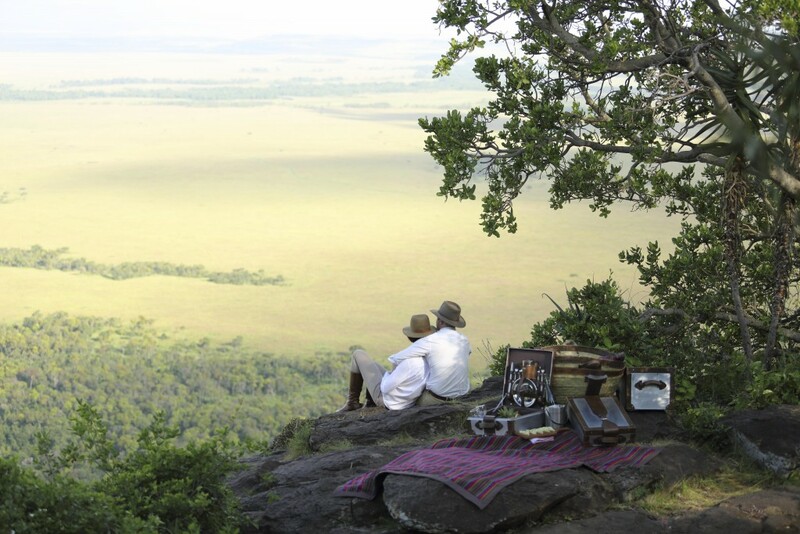 The expert team at Angama Mara can arrange an intimate 1920’s picnic for two on the hillside used in the film. Overlooking the open plains of the Masai Mara you can recreate your very own ‘Robert and Meryl’ moment. 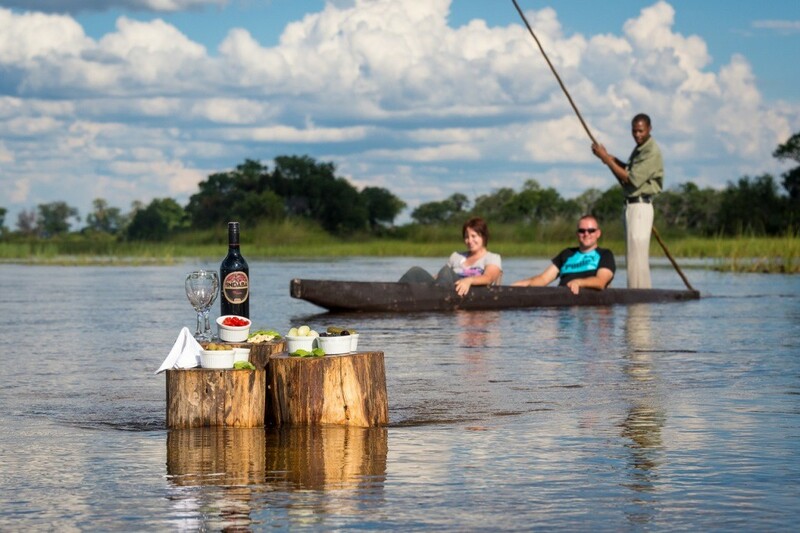 Float down crystal-clear channels of the Okavango Delta in a mokoro (traditional dug out canoe). 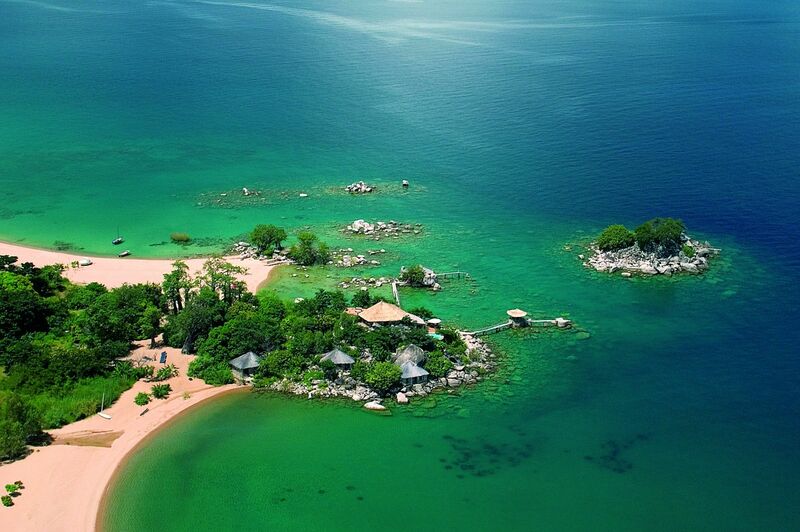 Your guide will pole you through narrow channels looking for wildlife and the rich variety of birds which inhabit this lush area. 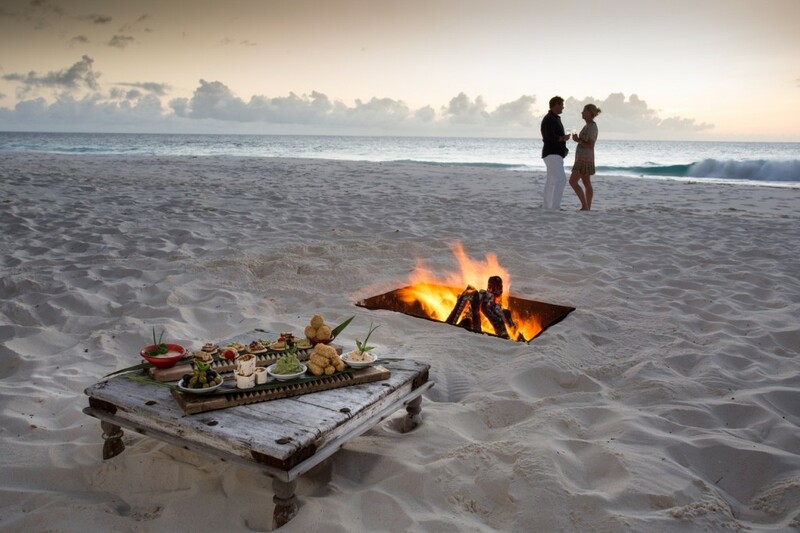 Later enjoy drinks and a bbq cooked over a camp fire. Before dinner, guests usually gather for a drink to watch the sunset and swap the stories of the day’s wildlife viewing. 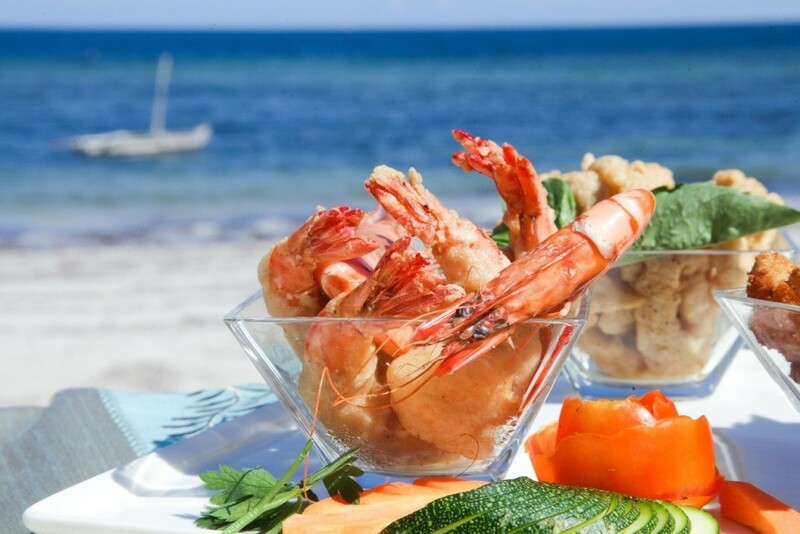 Freshly barbecued prawns on an Indian Ocean beach is a culinary experience not to be missed! People are generally overwhelmed by the quality and quantity of food on offer, much of it produced in simple kitchens or over a fire in remote places. One way or another, there’s a fair chance you’ll gain weight on safari but you’ll enjoy yourself while you’re doing it! Questions or suggestions on eating alfresco? 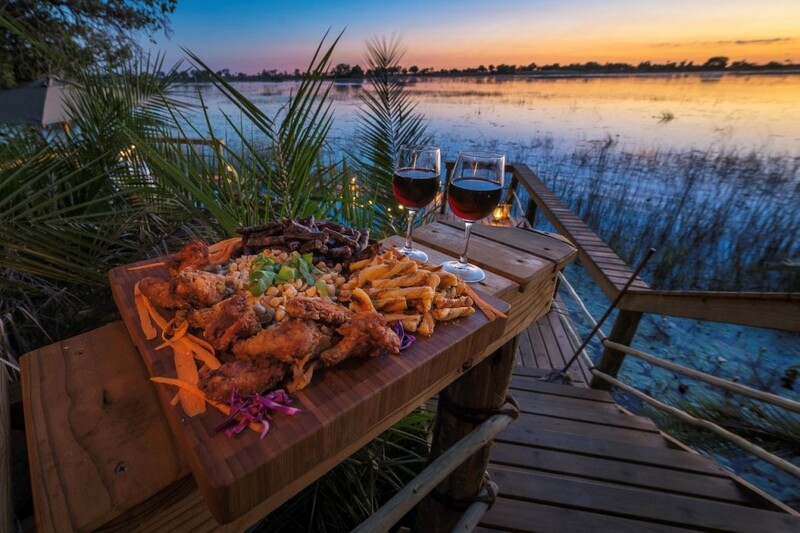 Have we missed out one of your favourite food experiences on safari, or left you with an unanswered question? Please let us knowin the comments section below, or pop us an email. We’ll be sure to reply and may amend the article to include our answer.